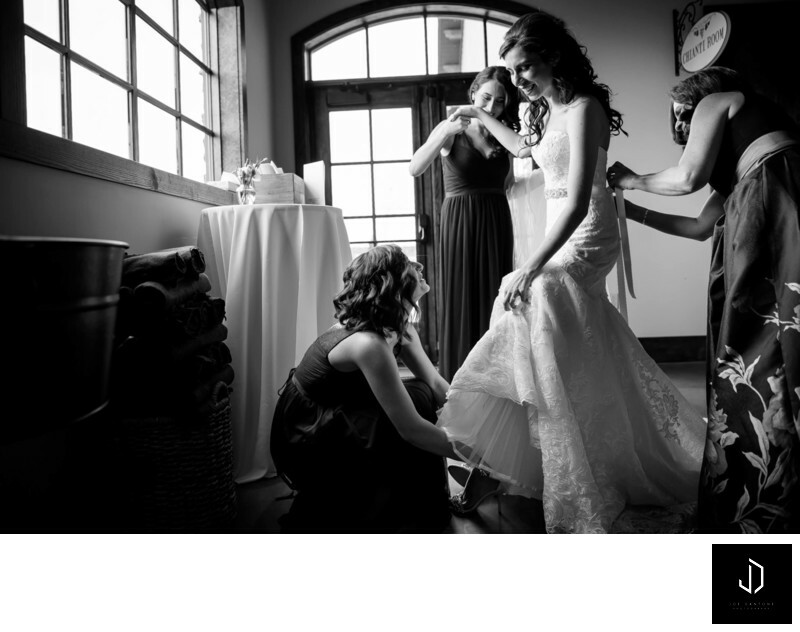 Photo of Bride getting ready during a Folino Estate Wedding in Kutztown, PA.
Folino Estate is a beautiful wedding venue based in Kutztown, PA. With a ballroom over 4,000 sq. ft., Folino Estate accommodates up to 220 guests for classic and re-imagined Italian fare, dancing, and entertainment. Our Italian vineyard inspired ballroom boasts grand 17 ft. ceilings, magnificent bronzed chandeliers, and a vintage wine barrel accent wall. Location: 340 Old U.S. 22, Kutztown, PA 19530.